Thin Stone is described as a thin flat stone ranging from 3/4″ – 1 3/4″ in thickness. 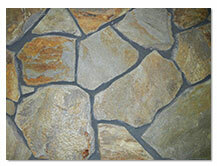 Quarried or field stone, its face size, thickness and color can vary. Thin stone is primarily used for dry stacked walls, veneer on fireplaces, chimneys, houses, walls, foundations, garden walls and retaining walls. Stone is a naturally occurring product of the earth. Variations in color & texture are expected. 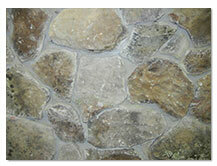 This is a characteristic which gives natural stone its charm and makes it a preferred and unique building material. Please use the photographs as a guide only. We cannot guarantee color & texture match to any photographs. Contact us to discuss the specific stone and application.